Long before the current "coffee craze," collectors were fascinated with the world of coffee. This colorful, expansive book explores over a thousand antiques with more than 500 color photographs. 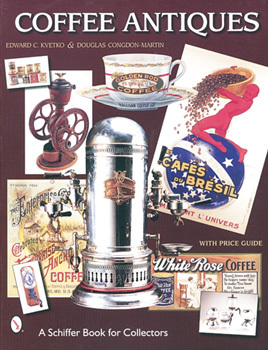 From grinders to coffee cans, posters to coffee makers, this is a varied collection of over 200 years of coffee antiques from around the world, ranging from the most mundane to the most exotic. The items in each photo are carefully described, and a current market value is given for most.